Ngadi Smart is a Sierra Leonean photographer and illustrator who lives in Côte d’Ivoire. 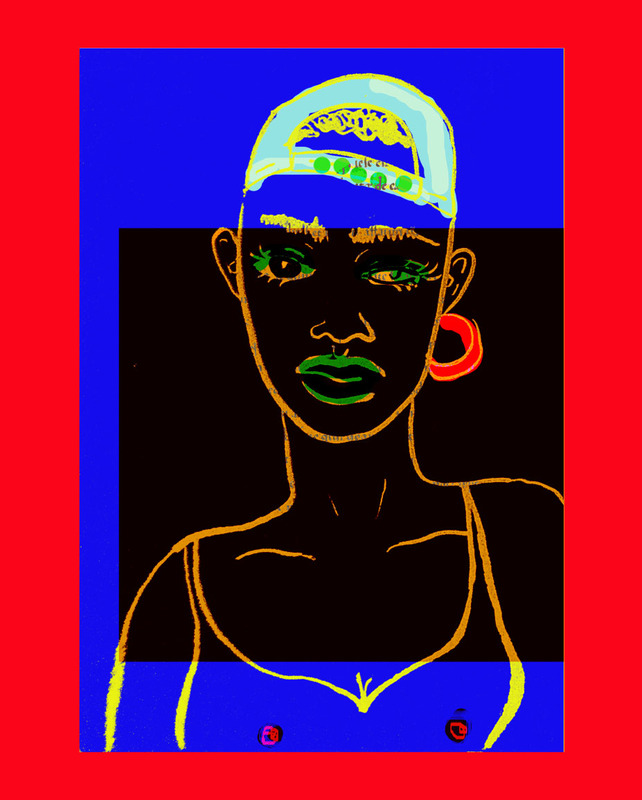 Her fashion-inspired drawings fuse vintage and contemporary style trends – from the platform boots of 1970s’ Freetown to the fresh street style of Abidjan. Her new series, Love, takes on a different aspect of contemporary culture. 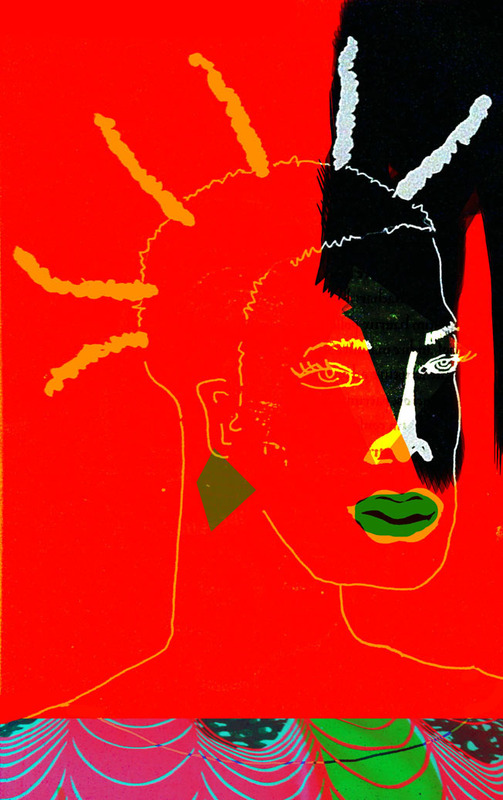 She portrays black love and sexuality, and exactly how we perceive them to be – vivid, proud and simply beautiful. The 28-year-old artist was born in London but ‘proudly holds Sierra Leonean citizenship’ from her parents. The people, styles and colours of the countries she has lived in play a part in influencing her work. ‘I usually pick an idea, the colours, and let it come out of me during the process of creating and get a nice surprise after it’s done and I connect the dots,’ she says. The streets of Abidjan offer up another source of inspiration. 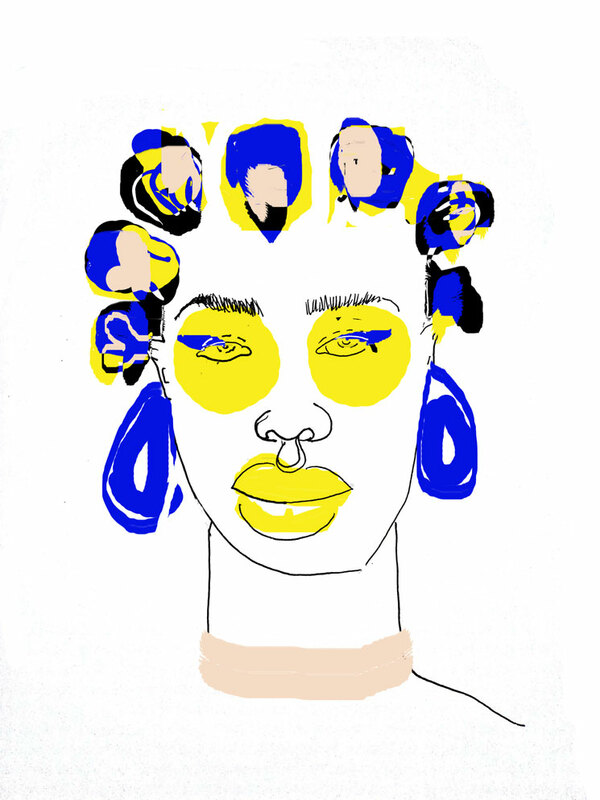 She photographs the city’s trendsetters and turns those images into animated drawings. Seeing the different hairstyles in the final images calls to mind another kind of popular imagery in the city – the famous barbershop signage which shows hairstyles from mildly funky to sometimes downright outrageous, but fun. 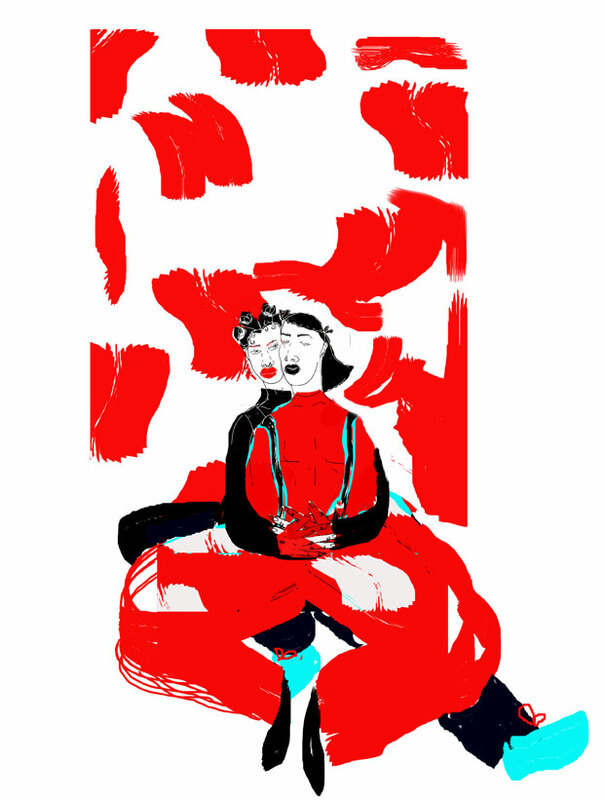 In Love, Smart pairs various ambiguous-looking characters together: ‘I’ve just always really been drawn to powerful figures, female and male sexual power, and “love” in my work,’ she says. ‘I do think female and male characteristics are a lot more intertwined emotionally and physically than people think, and I certainly think a lot more should be equal between the sexes.’ As such, figures with breasts also have facial hair, and androgynous characters embrace, well, lovingly. 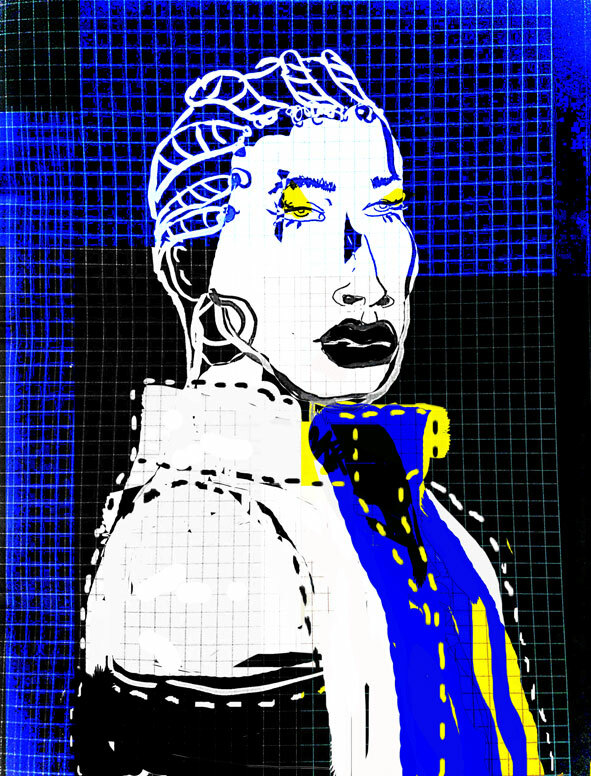 See more of Ngadi Smart’s illustrations.